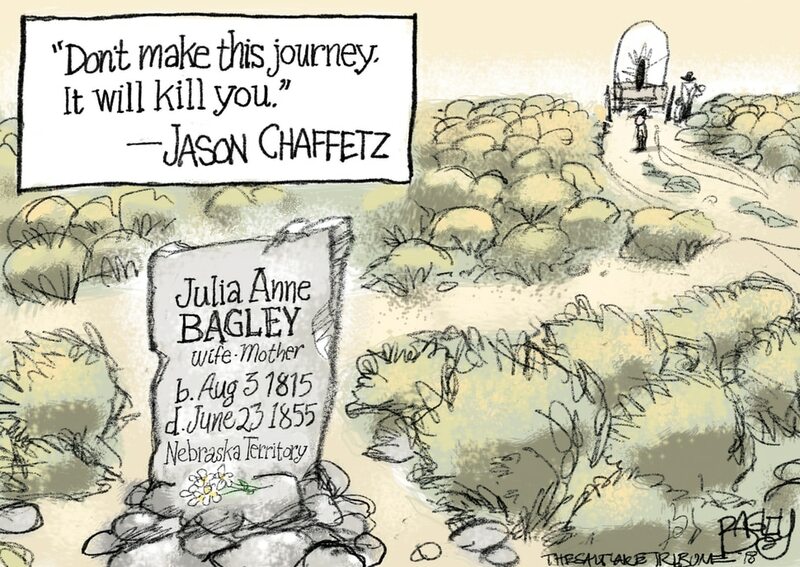 (Pat Bagley | The Salt Lake Tribune) This Pat Bagley cartoon, titled “Dangerous Trek,” appears in The Salt Lake Tribune on Tuesday, Dec. 18, 2018. 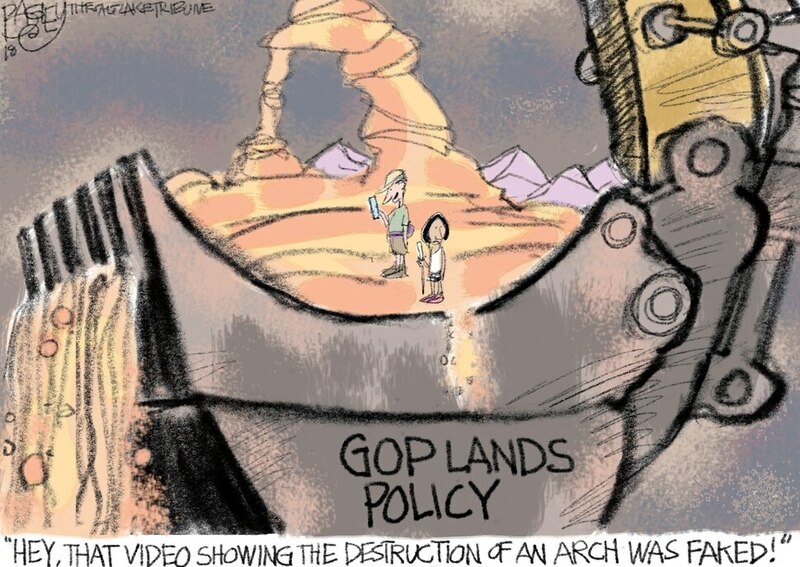 (Pat Bagley | The Salt Lake Tribune) This Pat Bagley cartoon titled Arch Conservative Philosophy appears in The Salt Lake Tribune on Sunday, Dec. 16, 2018. 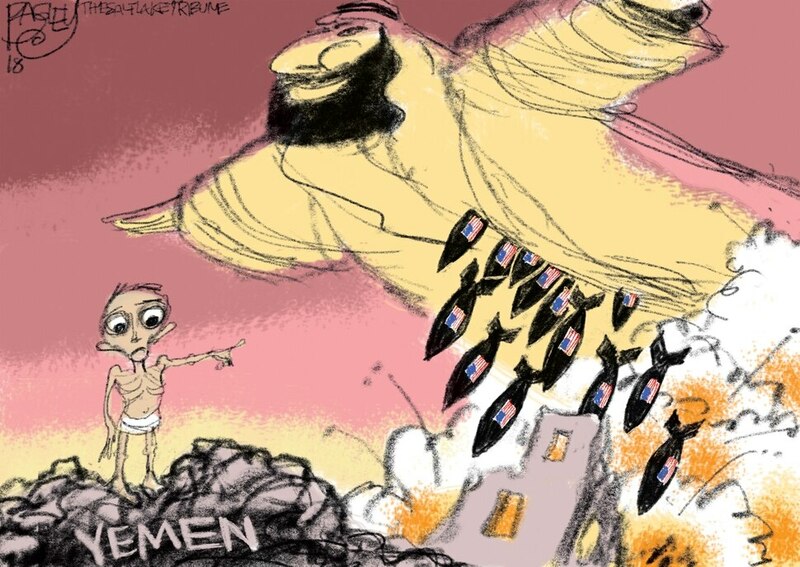 (Pat Bagley | The Salt Lake Tribune) This Pat Bagley cartoon titled Showing the Flag in Yemen appears in The Salt Lake Tribune on Friday, Dec. 14, 2018. (Pat Bagley | The Salt Lake Tribune) This cartoon by Pat Bagley called LDS Deadpool appears in The Salt Lake Tribune on Thursday, Dec. 13, 2018. (Pat Bagley | The Salt Lake Tribune) This Pat Bagley cartoon titled Orrin 'Soft-on-Crime' Hatch appears in The Salt Lake Tribune on Wednesday, Dec. 12, 2018. (Pat Bagley | The Salt Lake Tribune) This Pat Bagley cartoon, titled “Mueller's Hard Facts,” appears in The Salt Lake Tribune on Tuesday, Dec. 11, 2018. (Pat Bagley | The Salt Lake Tribune) This Pat Bagley cartoon titled The Utah Way appears in The Salt Lake Tribune on Sunday, Dec. 9, 2018. (Pat Bagley | The Salt Lake Tribune) This Pat Bagley cartoon titled Mr. Murderbritches appears in The Salt Lake Tribune on Friday, Dec. 7, 2018. (Pat Bagley | The Salt Lake Tribune) This Pat Bagley cartoon titled Red Hat appears in The Salt Lake Tribune on Sunday, Dec. 2, 2018. (Pat Bagley | The Salt Lake Tribune) This Pat Bagley cartoon titled LDS Buyer Beware appears in The Salt Lake Tribune on Friday, Nov. 30, 2018. (Pat Bagley | The Salt Lake Tribune) This Pat Bagley cartoon titled Clueless appeared in The Salt Lake Tribune on Thursday, Nov. 29, 2018.